The City Government operates under a City Manager-Council form of local government, with all legislative powers vested in a five-member City Council elected at-large for four-year, staggered terms. Municipal elections are held in November in odd-numbered years and the terms of Council members are staggered so that three are elected in one year and two are elected two years later. If a vacancy occurs in any position of the City Council, the Council appoints a new member to serve out the unexpired term of the departed member. According to the current City Charter, the five council members must elect one of their own members to serve as the presiding officer (known as mayor) and one as presiding officer pro tempore, (known as vice-mayor) at meetings of the City Council for two-year terms. The mayor presides over all Council meetings, calls special meetings, makes some appointments to advisory boards, and serves as the ceremonial head of government. The vice-mayor provides support whenever the mayor is unavailable. According to the current City Charter, the City Council must appoint the City Manager and the Director of Finance (also known as the Chief Operating Officer/Chief Financial Officer.) The City Council may appoint other Boards and Officers such as the City Attorney; Clerk of the Council; Real Estate Assessor; City Assessor and members of major policy-making Boards and Commissions. All appointees serve at the pleasure of the council and may be removed from office by the council; their salary and stipend is set by the City Council. Subject to the approval of the City Council, salary and stipend for subordinate employees of the City Manager are fixed by the City Manager. 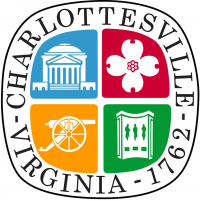 The local Constitutional Officers and Independent Offices are not appointed by the City Council, but are rather elected at-large by the qualified voters of the City of Charlottesville and have salaries set by the state. The Council establishes policy in the areas of city planning and finance, human development, public safety and justice, public utilities, transportation and other areas and has specific powers to pass ordinances, levy taxes, collect revenues, adopt a budget, make appropriations, issue bonds, borrow money, and provide for the payment of public debts. Administrative and executive duties are performed by the City Manager. The Chief Operating Officer/Chief Financial Officer assists the City Manager in the operational and financial aspects of all City functions and coordinates interdepartmental activities. The Assistant City Manager(s) assists the City Manager in a variety of assignments relating to the planning, direction, control, and evaluation of the operations and programs of the City Government, relations with City Council, the coordination of the City's operating and capital improvement budgets. This article is a stub. You can help cvillepedia by expanding it. This page was last edited on 7 December 2018, at 19:39.